Creating posts is nothing special if you have even basic experience with WordPress. WorkScout theme offers couple of additional options in Post editor. WorkScout supports for posts formats. You can change it in right side box. Default is Standard - that one shows only text of post and thumbnail image if added. Each change will show a form with options to fill. For Video, just put there a link to a video from youtube, vimeo, or any other service that has support for oEmbed. Below Editor you'll see Layout box and Post options box. 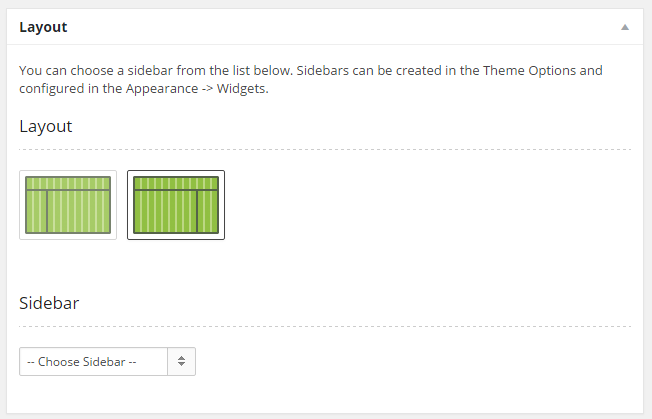 Layout gives you ability to select sidebar to display with post or page, and also select layout of post - you can put sidebar on left or right side. If you want to use shortcodes in post content, you need to write the excerpt or you might see non parsed shortcodes in search results or in front page.